The percentage of dental professionals who are addicted to drugs and alcohol isn’t noticeably higher than the rest of the population – about 14 percent – but a number of factors come into play that make it more difficult for those professionals to raise their hands and ask for help. Often, dental professionals work in a single-practice setting, and the dentists themselves are the sole owners of that practice – therefore, there’s little supervision by colleagues, and a great deal of demand from an abundant patient load. That situation is ripe for enabling, because employees tend to look the other way if the boss has a problem out of fear of losing their jobs. And the owners themselves often fear losing their practices if they have to shut down for a period of time in order to obtain substance abuse treatment. Combine that with the ability of dentists to prescribe narcotics, and the easier access to pain medication that health care professionals have, and it’s no surprise that dental professionals who fall victim to addiction often don’t seek help until their disease has robbed them of their livelihood. come to us dejected and defeated, thinking they’ll never be able to practice again. For patients who take part in our addiction treatment program, that couldn’t be further from the truth. We have a specific treatment path for addicted dental professionals that can help them stop using, lose the desire to use and find a new way to live – often as happier, healthier and more productive professionals who return to the practice they love so much. The Professionals Program at Cornerstone is overseen by Dr. Janet Hicks, herself a long-time practicing pharmacist with extensive experience in the addiction treatment field as well. Under her guidance, dental professionals are first placed into a medically supervised detox program, where they’ll be safely and slowly weaned from drugs and alcohol, followed by entry into one of our four main treatment programs that best meet their needs. 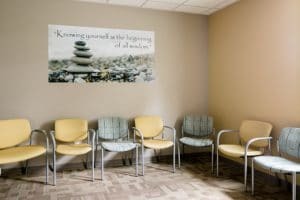 Within those programs, however, they’ll be placed on a unique therapeutic path designed specifically for addicted professionals, where they’ll learn to balance the stress and self-imposed standards of perfection that often go hand-in- hand with addicts who work in a professional setting. In the Professionals Program, we help patients establish boundaries between themselves and the patients who expect so much of them. They learn to balance patient care with self-care, so that the former doesn’t overwhelm and consume the latter; by examining life traps like perfectionism and unrelenting standards these individuals place on themselves, we allow them to accept their disease on a human level, something they so often deny because of their education and experience. And if they’ve reached a point where a state dental board has intervened, we’ll work closely with that board’s monitoring program to help addicted dental professionals salvage their careers. Many times, that’s the sole reason they come to us – but we believe that drugs are just a symptom of the problem, so our goal in Cornerstone of Recovery’s Professionals Program is to help addicted dental professionals better their lives as well. Call us today to find out if this program might help you do both.